Do you have light duty pressure washing needs around the house that you’re tired of putting off? Have you been avoiding the purchase of a pressure washer because they’re just too expensive? 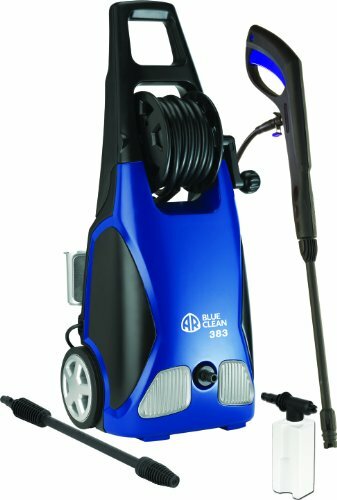 The AR Blue Clean AR383 is a 1900 PSI electric pressure washer that has been perfectly designed for you. Providing enough power to clean most landscaping features and even your vehicle, you’ll find that it’s a nice price as well: under $150 right now on Amazon. What Makes the AR Blue Clean AR383 Stand Out? 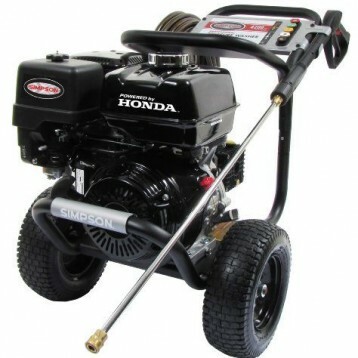 It’s the Total Stop System that we really loved seeing in action when taking a look at this particular pressure washer. Many systems are designed to be controlled at the wand, just as the AR Blue Clean AR383 happens to be, but you don’t have real full control. The wand continues to spray in many cases, even when the pressure washer is turned off, but you’ve still got a water supply attached to it. 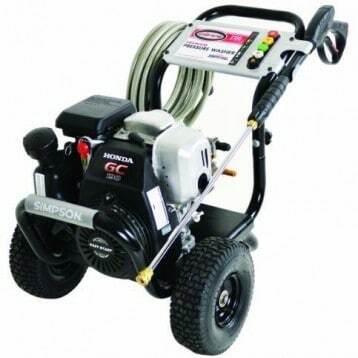 You’ll get a true stop with this pressure washer and that’s a tremendous advantage. Here are some additional features that we noticed which also help the AR Blue Clean AR383 to stand out from the competition. It only uses 1.5 gallons of water per minute while providing the 1900 PSI of cleaning power, so you’ll limit water use every time you clean. 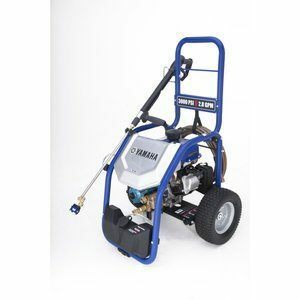 The hose reel has a hand crank attachment, much like a garden hose storage unit has, which eliminates many of the kinking and looping problems other pressure washers have. It runs on a universal electric motor: 120 volts, 60 hz, and 11 amps. The stainless steel plungers are also a nice advantage. Though not as durable as ceramic coated plungers, they aren’t as expensive and almost as durable. This means you can keep using the AR Blue Clean AR383 for many years to come. Why Choose the AR Blue Clean AR383 Today? We really love that this manufacturer is willing to stand by all of their parts in this pressure washer with a comprehensive warranty. Everything that you see in the box when you make a purchase of the AR Blue Clean AR383 is covered by a 1 year warranty. It’s limited because user negligence isn’t included in the warranty terms, but any defect in the materials or craftsmanship found is definitely covered. The one area of disappointment that we noted came from the plastic hose adapter. 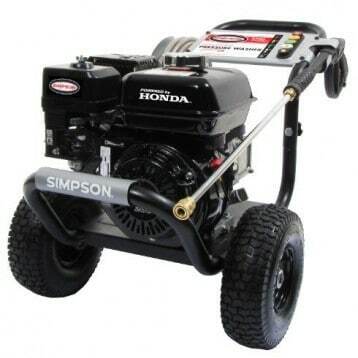 This pressure washer is very lightweight and is easy to haul around your property, but the plastic adapter tends to leak a bit where the two washers meet. This can create a puddle of water underneath the pressure washer that you may not want. 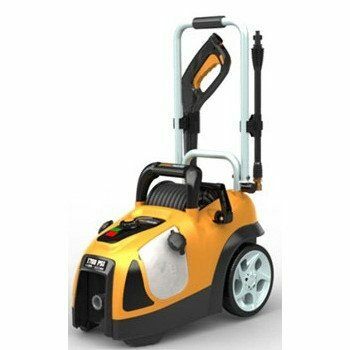 The AR Blue Clean AR383 provides a good user experience overall, especially when compared to other pressure washers. 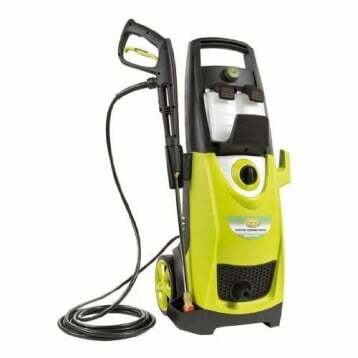 You may want to upgrade the hose adapter on your own for an even better experience, but otherwise this pressure washer is ready to get to work for you, straight out of the box. Click here to view pricing on Amazon and find an awesome deal on the AR Blue Clean 1900 PSI Electric Pressure Washer.